Glass presents so many opportunities to be creative with design. It also ensures health and safety is taken care of, which is great news as modern offices are full of the stuff. 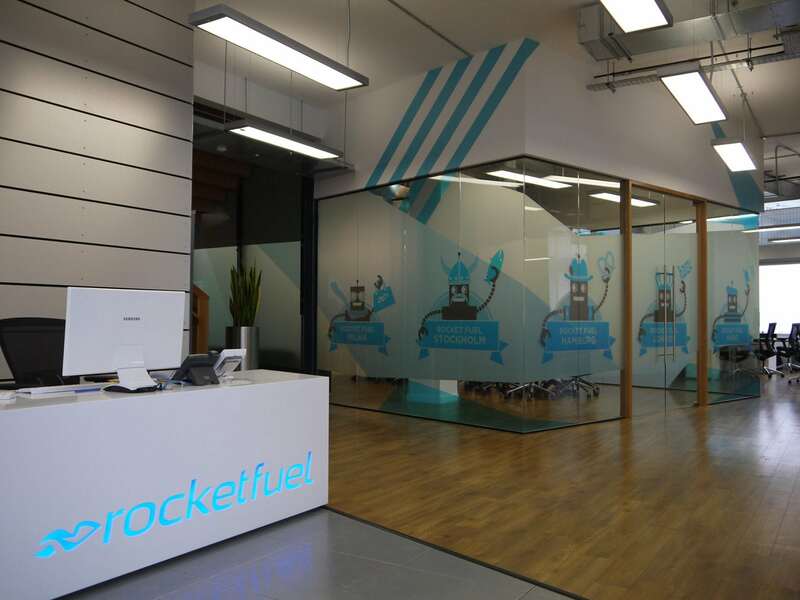 Manifestations form an integral part of our overall approach to designing office spaces. For us, glass provides the opportunity to bring about a big transformation within the space through the clever use of design. 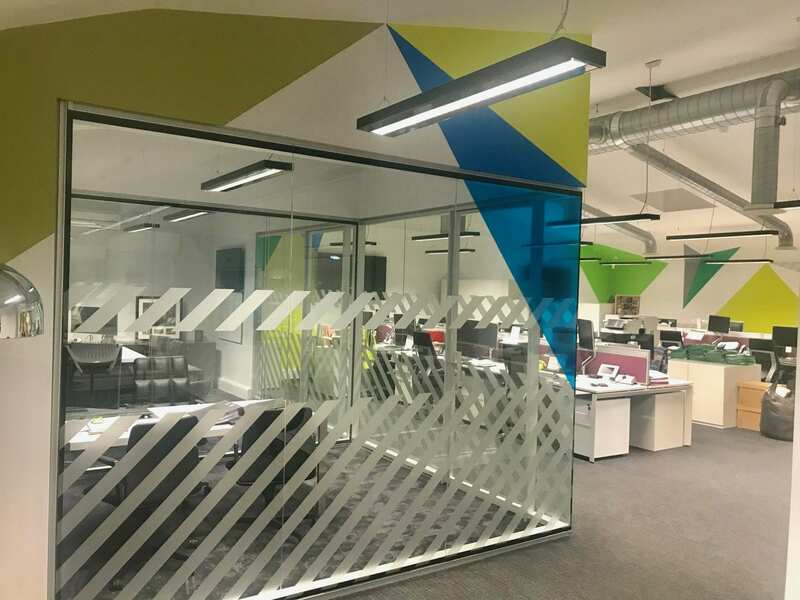 When we first visit you we look at the space as a whole – walls, glass, floor, natural light, furniture – and how we can work with this and your vision to create the best possible visual result. 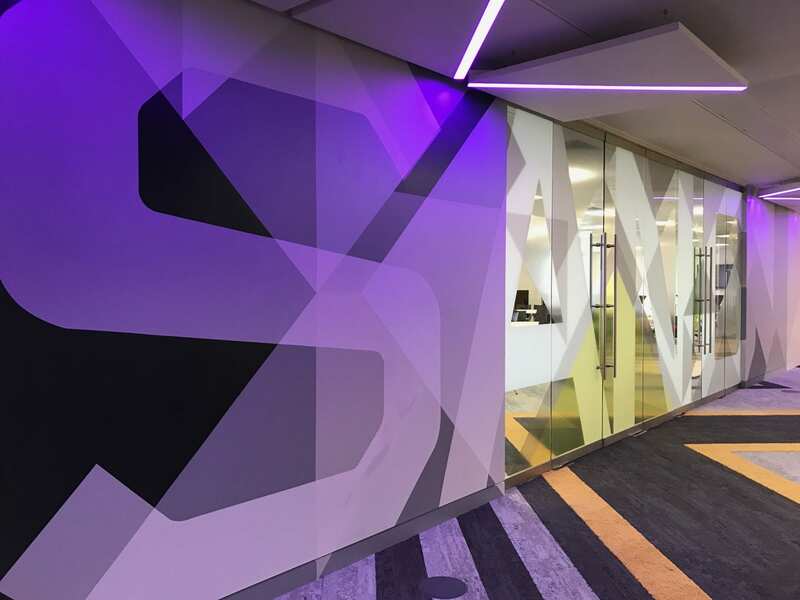 To create synergy and connect different areas within a space we often bring elements of the design from the walls across and onto glass surfaces – be it meeting rooms, wall partitions or doors. 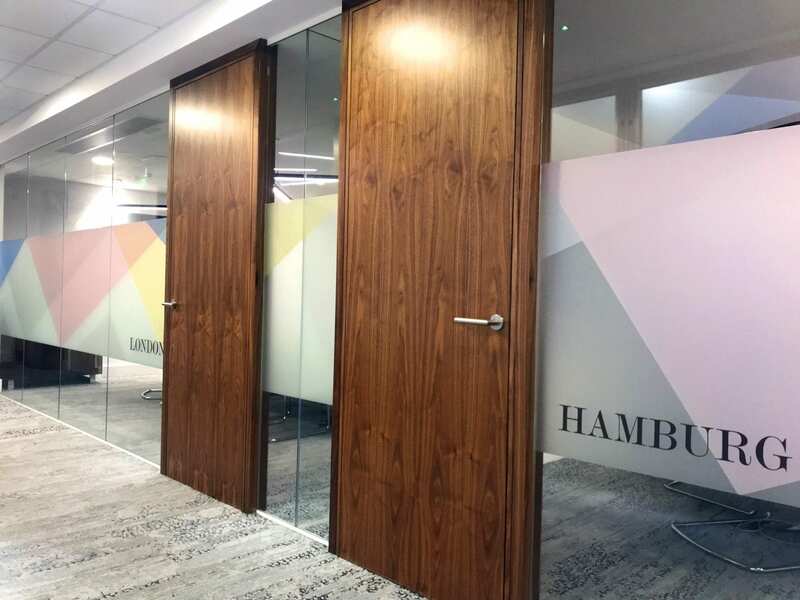 Glass manifestations can also be used effectively to create separate zones with their own distinctive look and feel, such as a visually striking centre piece for a glass-walled boardroom. The sky really is the limit in terms of what can be achieved. 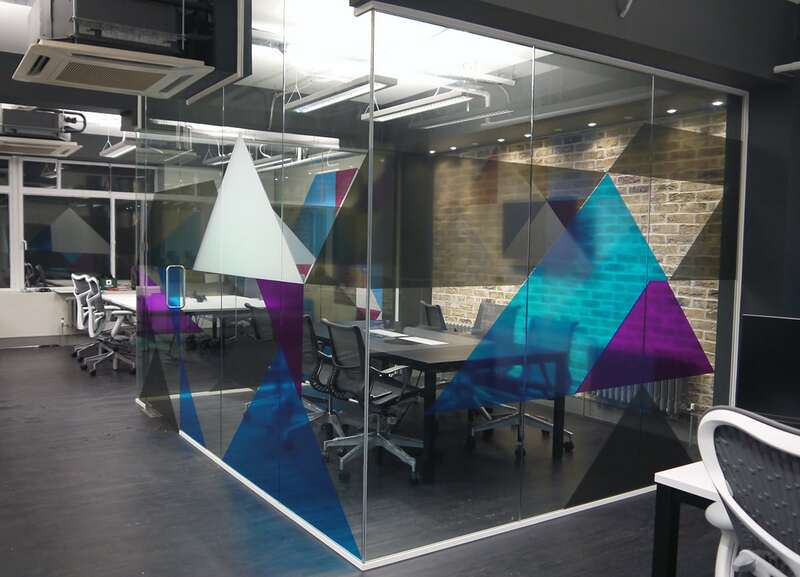 There’s an extensive range of coloured, frosted and transparent glass vinyl. We can also create bespoke designs that can be printed and applied. 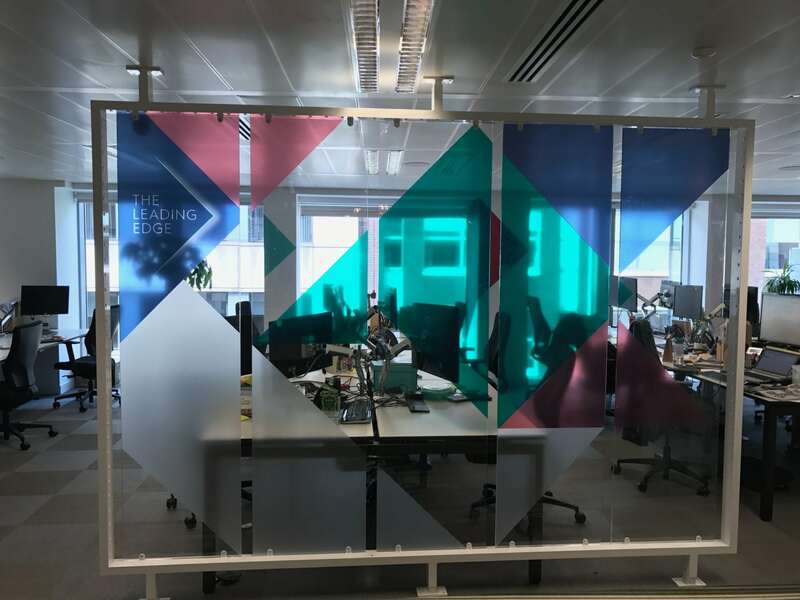 So, if you’d like to do something amazing to bring the glass in your office to life, or provide greater privacy to a meeting space, then give us a call – we’d love to have a chat.